Why try a pay-per-click, or PPC campaign? Online searches for restaurants are hot. 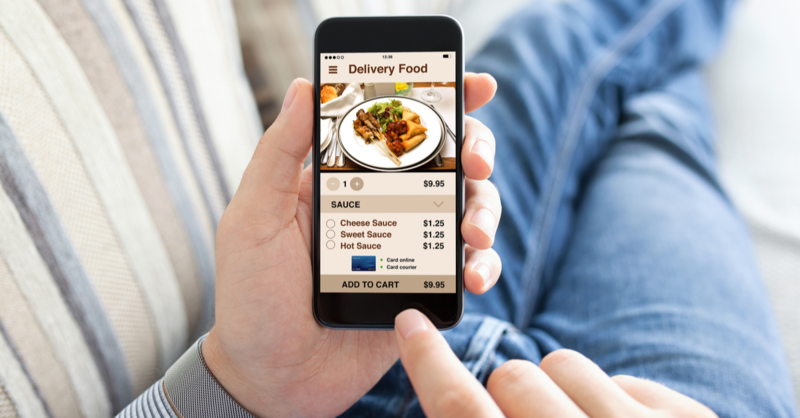 Increasingly, hungry people are looking at menus, locations, hours, specials, reviews, photo galleries, and most importantly phone numbers to find their next meal. And they’re doing it from their mobile devices, since they’re making their plans on the go. More than half of Google’s paid ads will be clicked on from a mobile device this year. Since mobile ads are often less expensive than their desktop counterparts, this is great news for you on many levels. Even better, conversion rates from these devices are through the roof. A recent study found that a full 85% of searchers CONVERTED to purchasers (and 64% within the hour of searching). Yet many restaurants still aren’t buying online advertising. So what are you waiting for? We’ll focus on Google text ads since they represent the majority of online ads being purchased today. How Do I Choose Ad Words? Broad Match Modifiers: You can set whether you want to only show your ads when searchers type the exact combination, or similarly modified terms, like singular/plural forms, synonyms, misspelled words. You can use AdWord’s Keyword planner to help. There are best practices to follow. For instance, you’ll want them broad but not too broad, so that you’ll have volume, but it will be “qualified.” For example, a pizza shop does not want to use “pizza” (1 billion+ impressions), but can narrow that down to “pizza in annapolis junction” to get the right prospects. Not only do broad keywords waste eyeballs, but they generally cost more due to competition, so their cost-per-click (CPC) is higher. Since 65% of prospects are looking for restaurants within walking or driving distance, keeping your message and keywords local is key. In fact, 66% of searchers need directions and 51% are looking for a phone number. So use the name of your neighborhood, town, city or region when you set up your keywords or target your display ads. These will be more cost-effective and targeted. And provide location-specific specials that can lead to promotions within that location. Mobile users comprised 72% of search traffic for food and beverage in 2016. To attract these users, make it as simple as possible for them. Have a click-to-call feature on your ad for instant calls. Make sure that your landing pages are optimized for mobile devices – that they look good and load well. Consider this tactic, which tracks your visitors and then “follows” them by placing your ad on another site they visit later. These are priced more competitively than other PPC ads since you’re reaching a smaller group of prospects. And since you’re targeting someone who has raised his or her hand for your services, these act as great reminders. It usually takes a number of impressions to get a lead, so this is a cost-effective way to generate more impressions over time. Who knows? Your prospect may have been busy when he first viewed your ad, and a simple nudge can mean the difference between him becoming a customer or forgetting about you. Of course it’s critical to ensure that your content is good. The message must be concise and relevant, and any images must look delicious! Even if you’ve created a great looking ad with smart keywords, you’re not off the hook yet! You don’t want to reel customers in and then have them land on a not-so-savory landing page on your site. Make sure it is appealing and has the specific information they’re seeking, including the location, hours, menu, etc. This is the perfect time to move them to action with a CTA, or call to action. Whether you entice them to download a coupon, order food, or sign up for your email list, this will help you collect important leads and engage your customer base. Since everything is eminently trackable, it’s very important to analyze this data regularly. Check on how your ads are performing, and make changes to the ads that aren’t performing as well. Google AdWords and Google Analytics track clicks and conversions so you can see what’s working in real time. You can also look at call tracking for your click-to-call ads. In addition to PPC campaigns, make sure that your restaurant is set up as a free listing on Google, Zomato, Zagat, and Yelp. These are the most popular apps for mobile food searchers. Want to learn more about running a successful PPC campaign for your restaurant or restaurants? Contact us today for proven tactics that most owners don’t even know about. Here at Ironmark, we’ve helped some of the area’s greatest restaurant chains with local PPC and free local listings to grow their restaurant and catering businesses. We’d love to help you too!